Hooray! Now anyone can check out a frigid mountain top in their off time. This extraordinary project was undertaken by a German camera firm with the help of some sherpas, who put much effort into its setup. More than a live streaming attraction, the camera near the Everest summit is a joint scientific effort. The hardware itself (meaning the high altitude webcam) is from Mobotix, who’ve partnered with the Italian led organization Ev-K2-CNR. Currently standing between giant boulders at an opposite mountain called Kala Patthar, the solar-powered camera is already running and transmits a live stream of Everest’s western slope (arguably the best view) from six am to six pm, 24/7. Take a look via the source link down south. Oh, note that the stock image used above is from a different angle. The scientific purpose mentioned earlier has something to do with climate change, most likely as a record of the ice on Everest. But that’s for the scientists and the rest of humanity can stick around to simply watching Everest get frosted over on a daily basis. Sweet. 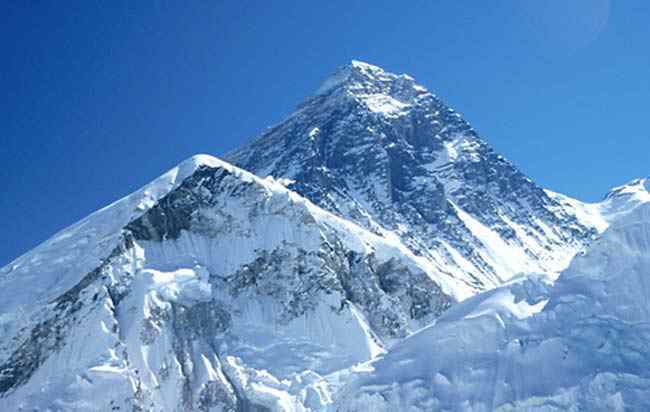 It just occurred to us that since climbing season starts in several month’s time, maybe the Kala Patthar cam could provide a feed on the latest teams to make the ascent.